414 Beacon is located on the north side of Beacon, between Gloucester and Hereford, with 412 Beacon to the east and 416 Beacon to the west. 414 Beacon was designed by architect John H. Sturgis and built in 1887-1888 by Lyman D. Willcutt, mason and contractor, for Maria C. (Barnes) Blake, the widow of furniture dealer Charles Blake, and their unmarried son, William Osborne Blake, a real estate investor. Maria Blake is shown as the owner on the original permit applications for the house and a stable at the rear, both dated August 15, 1887, and on the final building inspection reports for the house and stable, both dated December 26, 1888. Maria Blake and William O. Blake purchased the land for 414 Beacon on April 29, 1887, from Dr. Richard Manning Hodges and Isaac Tucker Burr, Jr. They had purchased the land on February 23, 1887, from George Higginson, part of a 330 foot parcel he had purchased on January 14, 1884, from the Boston and Roxbury Mill Corporation. Click here for an index to the deeds for 414 Beacon. Richard Manning and Isaac Tucker Burr, Jr., owned 408 Beacon and 410 Beacon, respectively, and had purchased the land at 414 Beacon to protect their river views from being blocked by future construction to the west. 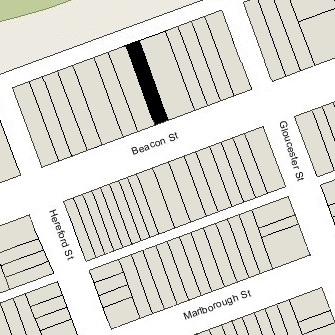 On April 30, 1887, they entered into an agreement with Charles Head, who was about to build his home on a 50 foot wide lot at 412 Beacon, by which he agreed to limit the depth of his house to no more 83 feet 6 inches from the northern line of Beacon, and Richard Manning and Isaac Burr agreed to limit the depth of any house built at 414 Beacon to no further than the depth of the house built at 412 Beacon. This agreement both assured that the house at 412 Beacon would not impede the views from 408 and 410 Beacon and that 412 Beacon’s view would not be impeded by any future house built at 414 Beacon. By the 1889-1890 winter season, Mary Blake and William O. Blake had made 414 Beacon their home. They previously lived at 3 Fairfield. By 1910, they had been joined by Mabel I. Beckwith, a companion to Maria Blake. William Blake married Mabel Beckwith in November of 1912. After their marriage, they lived at 414 Beacon with his mother. Maria Blake died in May of 1913. William and Mabel Blake continued to make 414 Beacon their home. They also maintained homes in Franconia, New Hampshire, and in Hingham. William Blake died in November of 1934. Mabel Blake continued to live at 414 Beacon until her death in November of 1940. On June 10, 1941, 414 Beacon was acquired from William Blake’s estate by Mrs. Ellen Maria (Eriksson) Molz, as trustee on her own behalf. She was a dressmaker. She previously had lived at 638 Beacon. Ellen Molz was the estranged wife of Douglas L. Molz, whom she had married in April of 1912 in San Francisco. In March of 1947, she filed for divorce in Boston. In October of 1941, Nils Carlsten, on behalf of Ellen Molz, filed for (and subsequently received) permission to convert the property from a single-family dwelling into a lodging house. 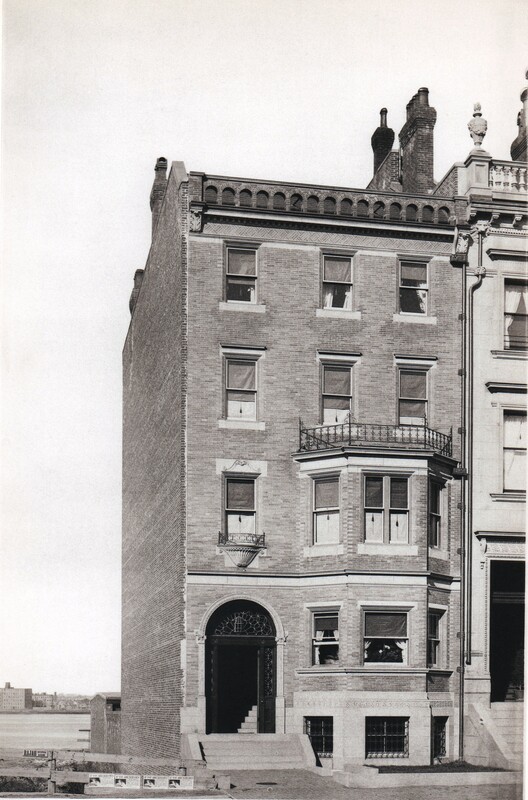 Ellen Molz continued to live at 414 Beacon, and to operate it as a lodging house, until about 1959. On July 15, 1949, she transferred the property out of the trust and into her own name. On July 2, 1959, 414 Beacon was purchased from Ellen Molz by Edith E. (Fitzgerald) Colantino, the wife of Dr. George J. Colantino, a physician. They lived at 404 Beacon, where he also maintained his office. 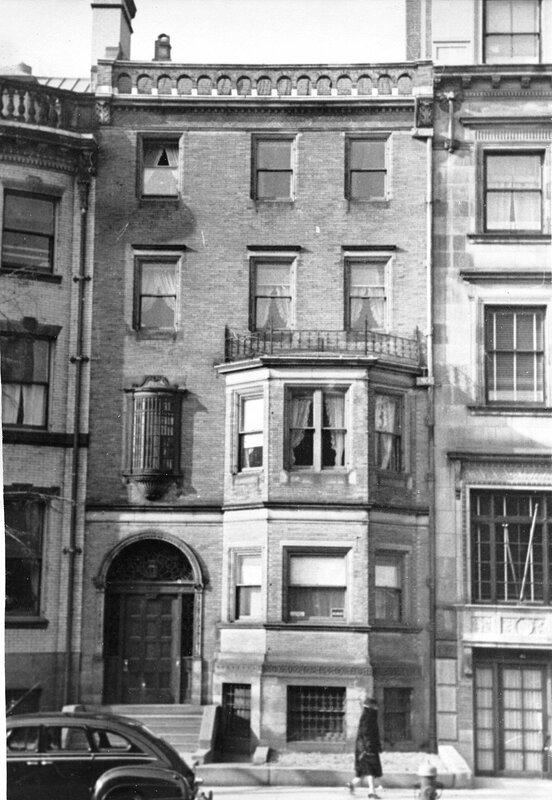 In October of 1959, George Colantino applied for (and subsequently received) permission to convert 414 Beacon from a lodging house into ten apartments. On April 23, 1962, 414 Beacon was acquired from Edith Colantino by Mrs. Kathryn (Goddard) Kelts, the former wife of Benjamin Donald Kelts, who lived in one of the apartments. She previously had lived in Groton. On August 15, 1967, 414 Beacon was acquired from Kathryn Goddard Kelts by Saul S. Ganick. The property changed hands and on September 25, 1979, was purchased by John V. O’Neil. In October of 1979, he filed for (and subsequently received) permission to convert the property from ten apartments into five apartments. 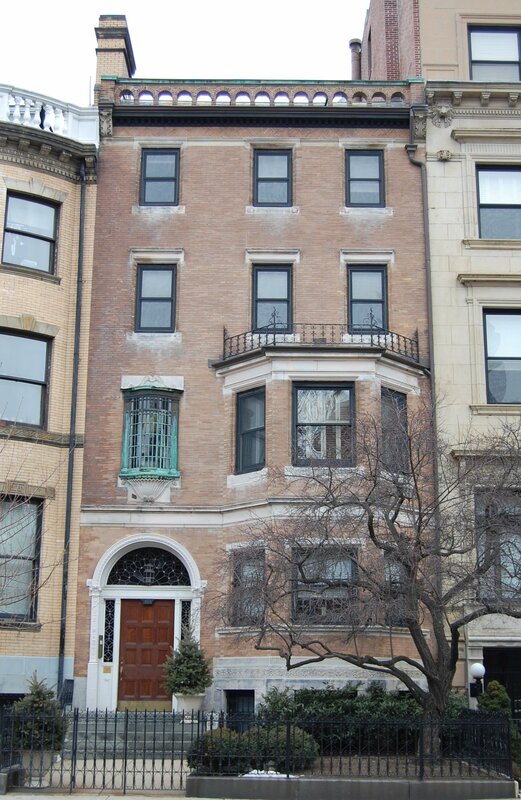 On June 5, 1980, John O’Neil converted the property into five condominium units, the 414 Beacon Street Condominium.